Hard to believe folks operating a women’s and children’s shelter called police on a disruptive mother, and ignored calling Child Protective Services to look after kids being cared for by a mom the shelter believed was an unfit guest. Same for police, I’m wondering if police could have done more to protect infants being cared for and supervised by an apparently distraught, emotionally or mentally ill/troubled child caretaker? Rest in Peace, Mason and Maddox Murguia. The Human INSANITY & MADNESS continues…. What happened to these people that they’re so full of HATE? This police officer should be charged with murder and forced to explain to a jury of his peers, as well as the American public WHY he used deadly physical force against an unarmed, fleeing felony suspect. Frankly, I would also like to see 17-year-old Antwon Rose’s primary child caregiver questioned by criminal investigators and possibly charged with Criminal Child Abuse for raising an apparent emotionally ill, SUIC!DAL, HOMIC!DAL thinking child who runs around his neighborhood engaging in gun battles with other emotionally ill, SUIC!DAL, HOMIC!DAL thinking children or young adults. Saniyah Nicholson is the name of the nine-year-old child Ms. Holt-Colden mentioned while beefing about police being called to her home over a lawn mowing incident. Saniyah was killed by a stray bullet resulting from a gun battle that took place in her residential neighborhood. Ms. Holt-Colden seems more upset about the people next door calling police for whatever reason, than she does about ‘living wild’ teens engaging in gun battles and killing a nine-year-old American child named Saniyah Nicholson. Ms. Holt-Colden, who admits whooping (assaulting) a child, does not sound like a very well adjusted person. Recently I learned homicide victim Tyrone Fleming was the creator of the extremely popular Youtube crime drama ‘848’. Watching a one minute clip of Tyrone’s ‘848 series’ I recognize Tyrone created American media art vividly depicting America’s current CHILD CARE PUBLIC HEALTH CRISIS, aka America’s potentially life scarring SYSTEMIC & GENERATIONAL Culture of Black or African American Child Abuse, Emotional Neglect and Maltreatment that evolved from America’s multi-generational, ignorant, once legal Culture of Racism! 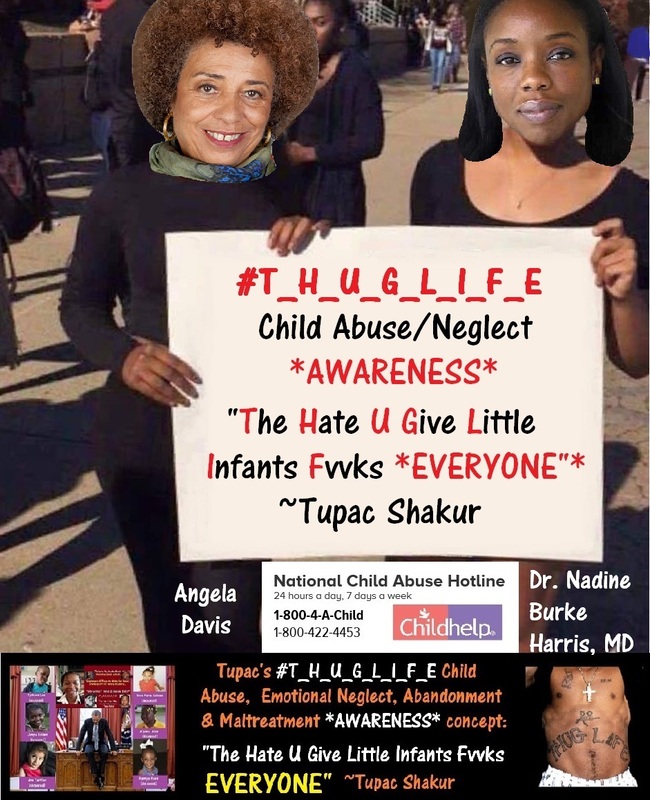 I am referring to a Culture of Child Abuse, Emotional Neglect, Abandonment and Maltreatment responsible for popular American urban story-TRUTH-tellers and ‘Childhood Trauma’ (#ACEs) victims the late Tupac Shakur (born 1971) and Mr. Barack “My Brother’s Keeper” Obama White House guest and friend Kendrick Lamar (born 1987) vividly describing in their American art and interviews the “T.H.U.G.L.I.F.E.” and “Good Kid, m.A.A.d. 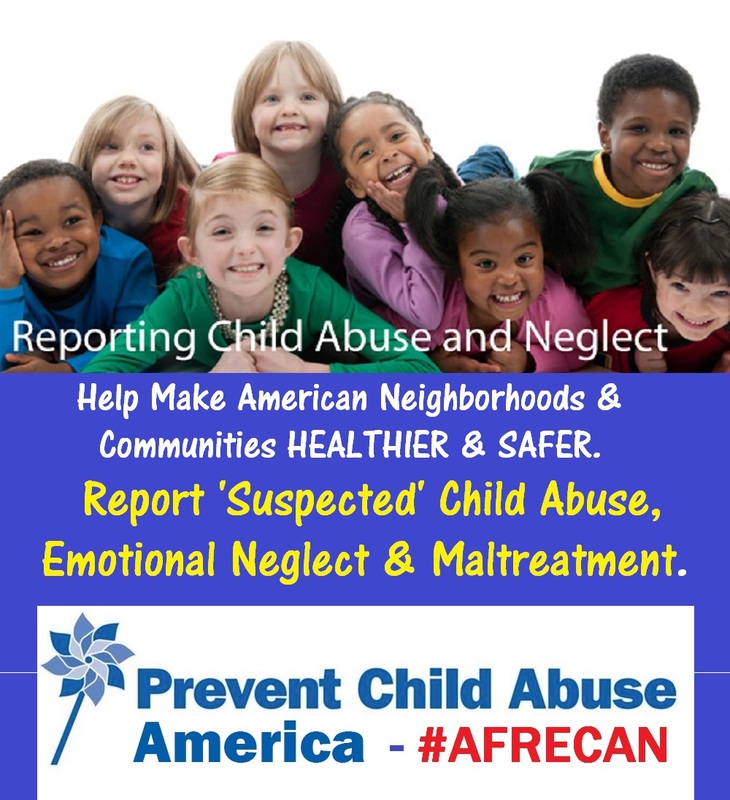 City” Child Abuse Cultures that THROUGH NO FAULT OF THEIR OWN, deprived these American men, their childhood friends, as well as many of their elementary and JHS classmates from experiencing a SAFE, fairly or wonderfully happy American kid childhood. In case anyone has not noticed, sadly, “the rise of black feminism” coincides with the rise in the number of American urban story-TRUTH-tellers, including President “My Brother’s Keeper” and Mrs. “GIRL POWER” Obama friends and WH guests, composing VIOLENCE riddled American music art music HATEFULLY demeaning and denigrating black or African American girls and women, aka the MATERNAL HALF of our Nation’s population, as less than human *itches and *hores or “hoes” unworthy of being treated with basic human respect! I understand dysfunctional parenting touches the lives of kids residing in EVERY single American community. HOWEVER, I cannot ignore the FACT that for more than thirty years significant numbers of American recording artists as well as American urban story-TRUTH-tellers raised, nurtured and socialized by African American teen girls and women have been composing music art HATEFULLY demeaning and denigrating black or African American females. 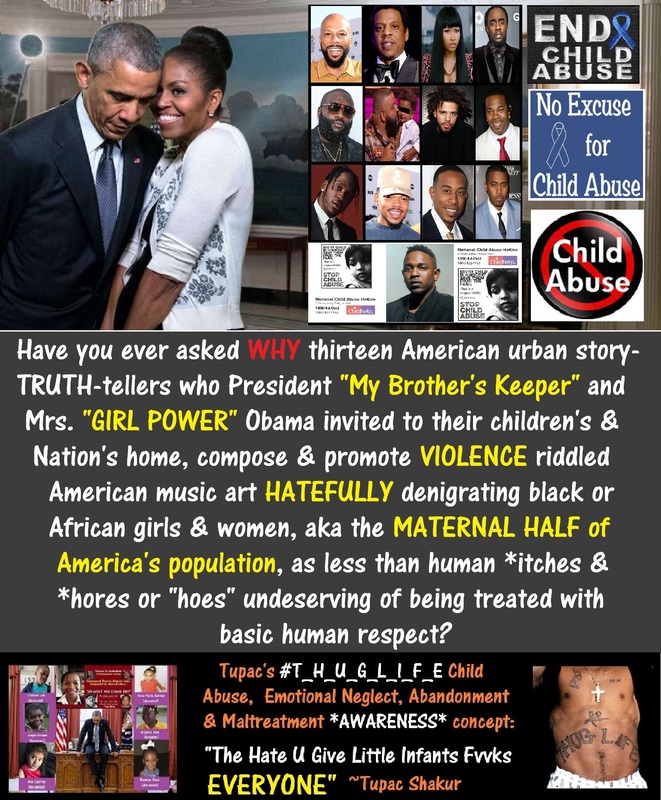 Something is DEFINITELY AMISS when for decades, from coast to coast, American music performers and significant numbers of American urban story-TRUTH-tellers, including Mr. Barack “My Brother’s Keeper” Obama & Mrs. Michelle “Girl Power” Obama’s friends and WH guests are HATEFULLY characterizing their moms, sisters, grandmas, daughters, aunts and nieces as less than human *itches and/or “hoes” unworthy of respect. 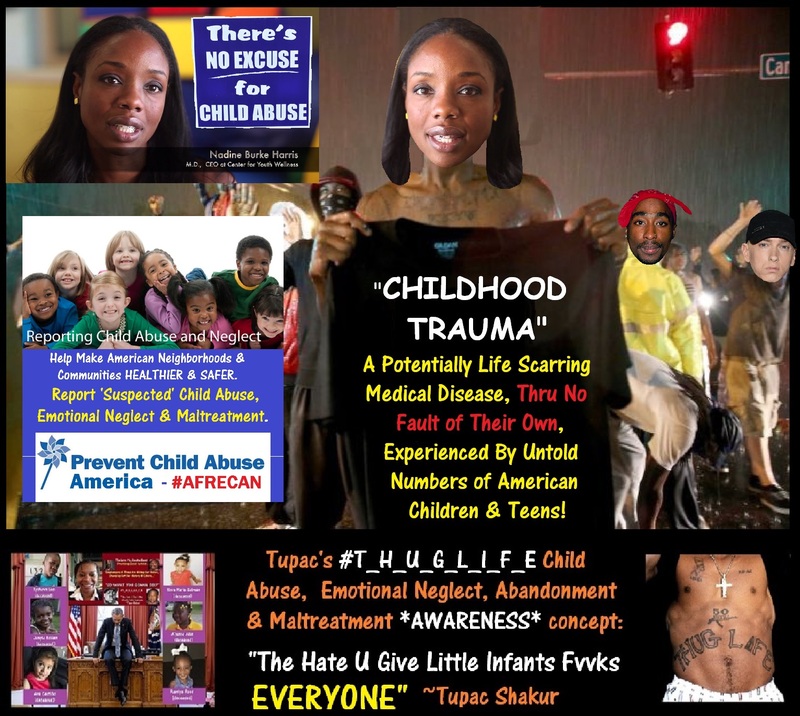 Video Street Murder – Disturbing Evidence of America’s Culture of African American CHILD ABUSE & MALTREATMENT evolving from America’s multi-generational, ignorant Culture of Racism. With all respect and sincerity, I am curious to learn my responsible, caring, concerned American or foreign born neighbor’s opinions about the late practicing social activist Ms. Sandra Bland passionately sharing her concerns, FEARS and personal PAIN while DECLARING WAR on a population of our apparent emotionally or mentally ill, suicidal/homicidal thinking American neighbors? On March 10, 2015 the late social activist Ms. Sandra Bland declares war on emotionally or mentally ill, VIOLENT, SUICIDAL, HOMICIDAL thinking teen and adult victims of Child Abuse and Emotional Maltreatment she believes are fully responsible for TERRORIZING and diminishing the Quality of Life for her peaceful neighbors and community. Each of the emotionally or mentally ill suicidal/homicidal thinking Americans appearing in the following horrifying recording are exhibiting behaviors I, as well as a growing number of my caring, concerned, responsible American neighbors believe are impeding our responsible neighbors of African descent from fully experiencing the respect and equality all peaceful Americans have a right to enjoy. In case there is any confusion, I am writing about and sharing evidence of America’s MUCH IGNORED, oppressive, unjust African American Child Care HEALTH CRISIS that I, as well as a growing number of my reasonably responsible, caring, concerned American and foreign born neighbors believe is impeding our American neighbors of African descent from experiencing the equality and respect all peaceful, reasonably responsible Americans are entitled to enjoy. Why aren’t America’s responsible, caring, concerned political, civic and religious leaders addressing OUR NATION’S most profound public HEALTH CRISIS?